EU integration means deep reform. This is why Serbia needs the understanding of its citizens, as well as of its partners in the Union, Jadranka Joksimovi? told EURACTIV Serbia in an exclusive interview. She spoke to EURACTIV Serbia’s Smiljana Vukoj?i? and Maja Poznatov. Jadranka Joksimovi? is Serbia’s minister without portfolio responsible for European integration. 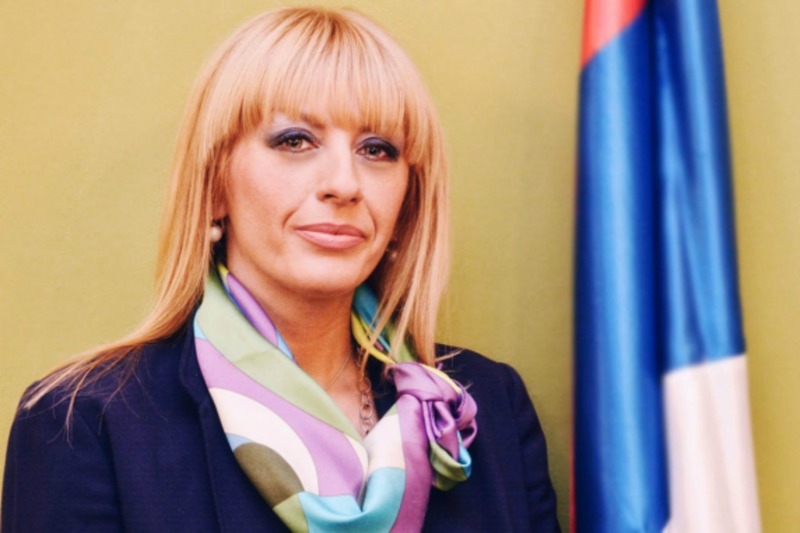 She is a member of the center-right Serbian Progressive Party. Do you think Belgrade’s historically good relations with Russia could threaten Serbia’s EU accession? We know very well what our obligations along the European integration path are, and we shall fulfill them gradually, in order to be fully prepared at the moment of EU accession. Our position is clear and we have reiterated it: We respect Ukrainian territorial integrity, but we shall not impose sanctions on the Russian Federation. The question is whether this could hamper our European integration process. It certainly could. However, it would be somewhat inconsistent to expect us to impose the sanctions, regardless of the economic and political circumstances which would be to our detriment, considering that Serbia has not yet opened any negotiating chapters and it does not participate in the decision-making process regarding European foreign policy issues. On the other hand, it is noteworthy that not all member states have fully harmonised their foreign policies on all issues. 21 January is the first anniversary of the official launch of the EU accession negotiations. What would you outline as your main challenge? The implementation of the initiated reforms is the main challenge, and I personally approach it with enormous enthusiasm and optimism. I have repeatedly emphasized that the negotiations are not aimed at achieving a record-breaking speed in the opening of chapters, but for the opening of individual chapters to support the dynamics of the reform process, to stimulate their consistent and timely implementation. In order to achieve this, we need our citizens to understand the reason for negotiating. Prime Minister Aleksander Vu?i? recently mentioned that Serbia could open four chapters in the first half of the year. Do you think it is realistic expectation? I expect that this year we will be able to open the most important political chapters – 23 and 24, whose benchmarks are reflected in drafting of and performance according to the action plans. Naturally, we also hope for the opening of chapter 32 – financial control, which we were prepared to open in December. However, that did not happen because the opening of political chapters was insisted on, initially. This is why the resumption of dialogue between Belgrade and Pristina at the beginning of February is highly important, after which we will have more information about the possible opening of chapter 35 as well. When will the final versions of the action plans for the chapters 23 and 24 [Judiciary and Fundamental Rights and Justice, Freedom and Security] be sent to the European Commission? The draft action plan for chapter 23 has been forwarded to the Commission. We are about to send the draft action plan for chapter 24. Will the continuation of the dialogue between Belgrade and Pristina, scheduled for 9 February, be considered a sufficient step forward for opening of the first chapter? We are determined to continue the dialogue with Pristina regarding the normalization of relations, as a best way to achieve concrete results. We are well aware of our obligations stemming from the Brussels agreement, but we expect the other side to start fulfilling its obligations as well. It is true that there are several uncertainties regarding chapter 35 [any other business, where the future relation between Belgrade and Pristina is expected to be formulated] i.e. implementation of the Brussels agreement, which some countries insist should be opened first. I hope that the continuation of the high level dialogue will be the opportunity for eliminating some of these uncertainties. In Brussels, there are is a belief that Serbia could do more to implement agreements with Pristina. Do you think this is true? Serbia has signed the Brussels agreement, which reflects the reality that Serbia did not recognize Kosovo’s independence. Belgrade has done very much unilaterally, not waiting for the government in Pristina to be formed. The position that we maintain and that we are entitled to implies that Serbia should not be delayed in the European integration process due to the fact that Pristina did not form its government for months, and that it did not take part in the dialogue. Do you think there is a risk that some bilateral issues with EU members, such as the border dispute with Croatia, can slow down or block the integration at some point, as already happened during the accession of Croatia? The European integration process and the EU represent a good framework for the deepening of relations between the states on numerous issues, including the development of regional infrastructure – which is also a part of the European transport network, economy, education, youth exchange programmes, culture etc. Serbia also has issues with other states, but it is our goal to resolve them in a cooperative spirit. A recent poll by the Ipsos Strategic Marketing showed that Serbians have a more positive attitude towards Russia than towards the EU, but that they would prefer their children live in the EU than in Russia. How do you comment on that? The results of the poll should be sought in the history of Serbia-Russia relations, and in the fact that it was believed until recently that it was sufficient to declare support for the EU. The EU was used as an ideological crutch for winning the elections. This is exactly why this government is committed to reforms aimed at creating a modern, functioning and organised state, which will also prove our EU orientation. Clearly, after a long period of confusion, Serbian citizens finally came to understand and decide that our future belongs with the club of European states.